Traditionally slim. Five turrets is the BCE standard. I have a some semi-pro equipment and I did some nice photos. But best wants best. So I asked some friends with skills to help out. They delivered. Coming soon to a website near you. Pictured Stage 2 Eastern Black set. 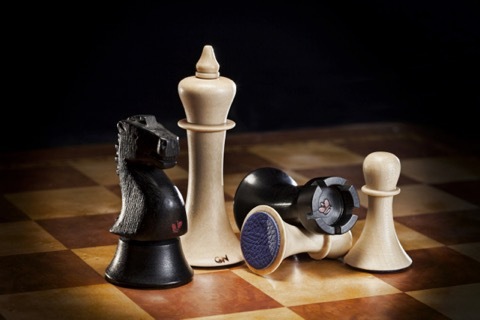 Check out the king’s rook’s & knight’s red crowns and the blue leather felted pawn bottom.